G.C. 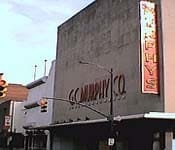 Murphys was a chain of five and dime stores operating throughout the Pennsylvania area. 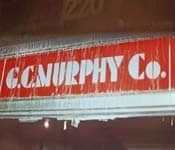 It was founded in 1906 in Mckeesport Pennsylvania by George Clinton Murphy.In 1970 the chain began to open larger stores called Murphy’s Mart similar to Kmarts. In 1985 the chain was bought by Ames Department Stores and by 1989 all the stores were either resold or renamed.